500 BSA. Photo: Karen Bryant. 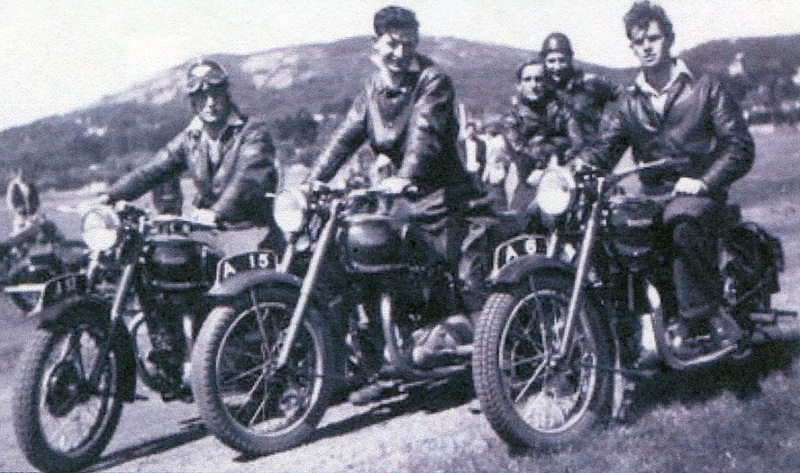 The Albany AJS Motor Cycle Club did run some meetings around the outer dirt section of the town football oval. 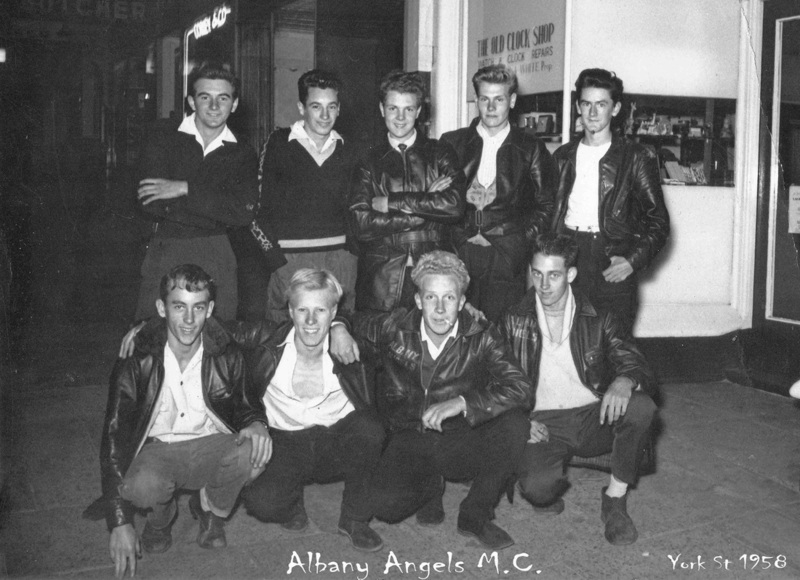 1947 - Some of the original Albany AJS Motorcycle Club members. left to right. Dennis Killick - Bill Theyer and Snow Day. 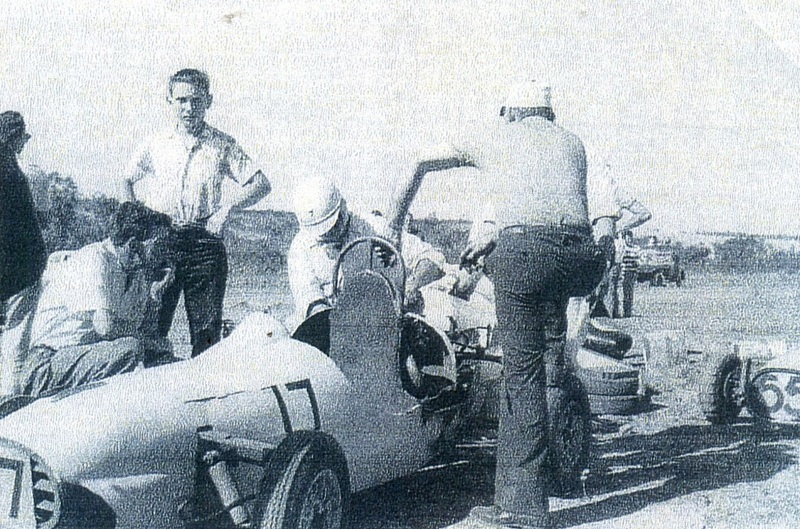 in the background is Kenny Williamson and Murray Smith. The bikes are 1946 model Speed Twins. Photo: Jim Liversey. 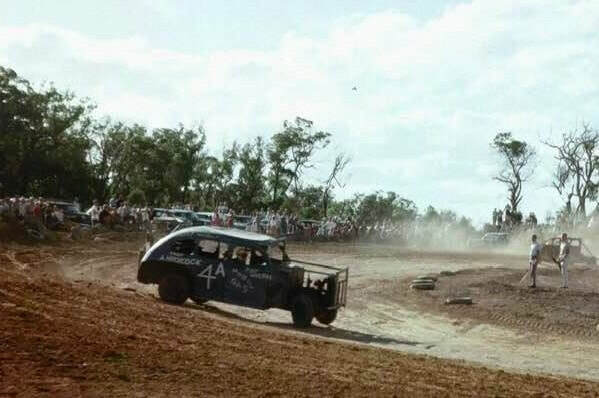 The inception of Hot Rod racing first occurred in 1962 with a meeting of a few locals in the Bailey family kitchen, but it was not until May 1965 that the Albany Hot Rod Club was formed after another meeting of about twenty five locals in John Manley's wrecking yard. 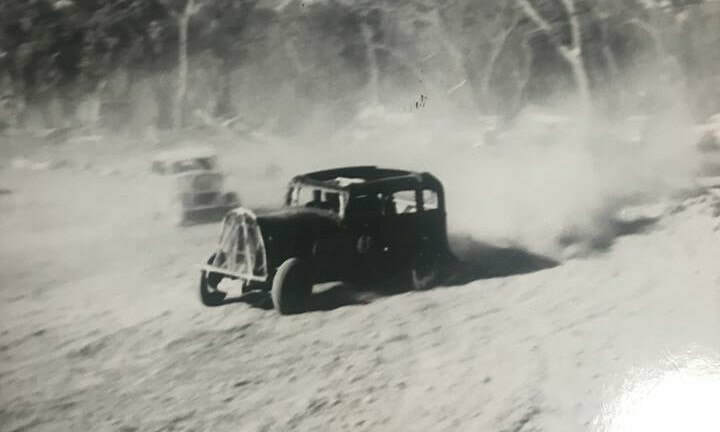 At this point Albany did not have a race track but many Hot Rods were under construction. In September 1966 the club held their first race meeting at the George Street track.This track was triangular in shape on undulating ground and the club raced at this site until it closed when the council needed the land for other purposes. Bruce Cutler in the number 18 machine. Noel Smith in his 34 Ford coupe nick named Sloopy. Photo: Noel Smith collection. Noel Smiths Sloopy receiving an engine transplant, out with the 1934 model and in with the 1953 Dodge version. Photo: Noel Smith collection. 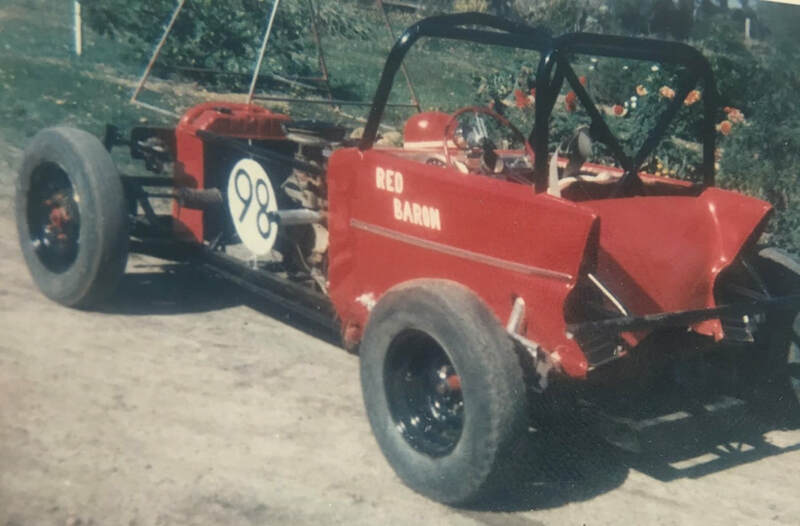 Noel Smiths 3rd racecar the Red Barron. Photo: Noel Smith collection. With the closing of George Street the club relocated to Bakers Junction where they ran for a short period but went into recess in 1969. The Hanrahan Road site in Albany was originally gazetted to the Agricultural Society's new showground, to replace the venue usually used for the local show, Centeninal Oval. The Ag Society engaged a contractor to excavate the site from the west side of Mt Melville, This contractor was from the Broomhill area, he commenced with two bulldozers but failed to complete his contract, There was a residue of soil pushed up and soaking wet that had to be shifted to complete the level area for the complex. Dennis and Colin Ferrell, a local earthmoving firm at the time who had previously done a lot of work for the Ag Society in filling washaways and attempting to grass the Western cut which was washed away, were contracted along with another local in Jack Rowe to complete the fill, as time passed the Ag Society would with draw from the project and the new showgrounds would never open. 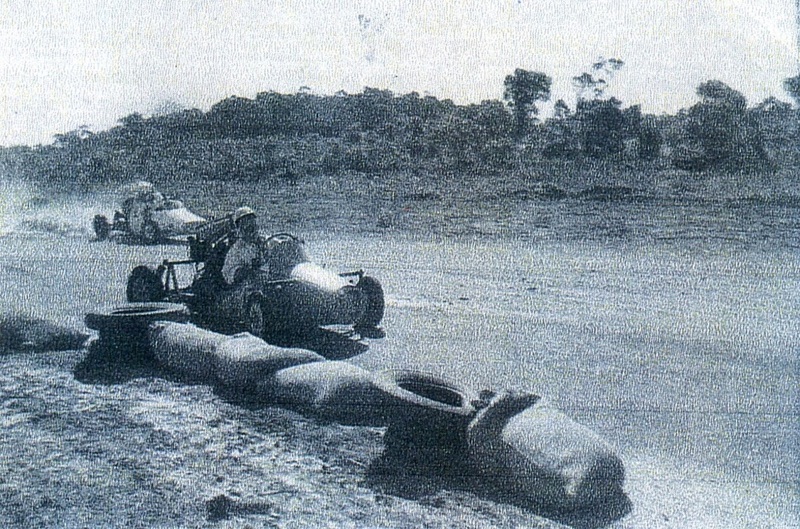 It is believed that if the venue had been completed that Speedway racing would have become a major attraction at the site. 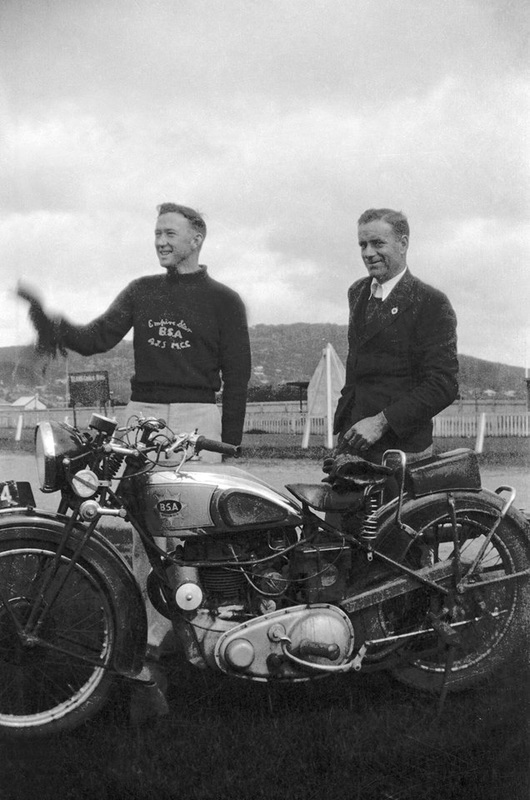 Jack Rowe was a keen motor racer himself, as a member of the WA Road Racing Club, also at the time involved in building his cooper car with the twin Triumph Tiger 110 engines. 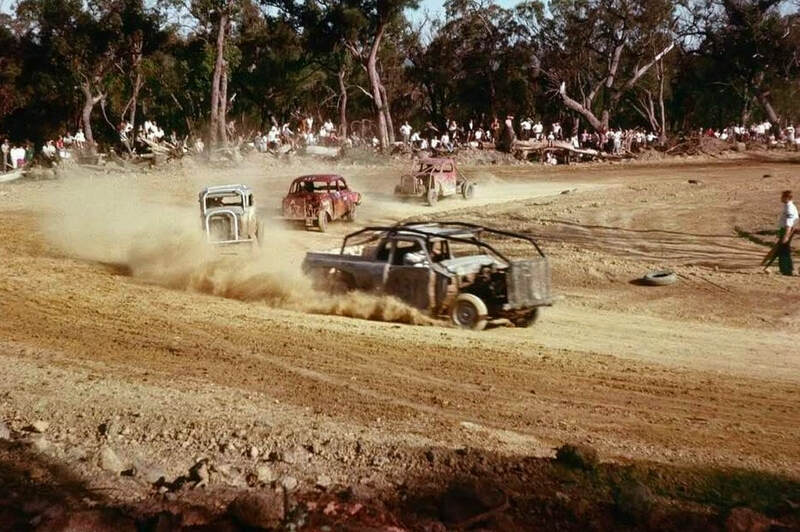 ﻿﻿﻿﻿﻿﻿The Albany tq racing club ran a series of night racing events at Centeninal Oval near the centre of Albany to raise funds and build a bitumen road race circuit at the new ﻿Motordrome complex. 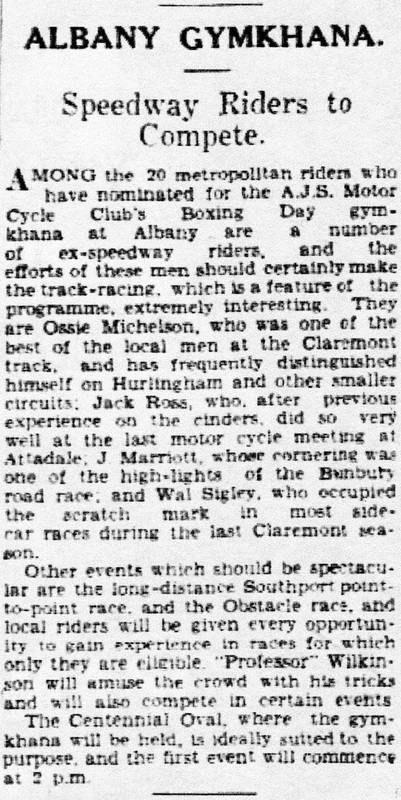 The Motordrome complex at Albany was a joint area for all motorsport clubs in Albany, It was run by a committee of representatives from the Southern Districts Car Club, Albany tq Racing Club and the Albany Motorcycle Club. The Southern Districts Car Club developed a gymkhana area which they used adjacent to the entrance of the complex. 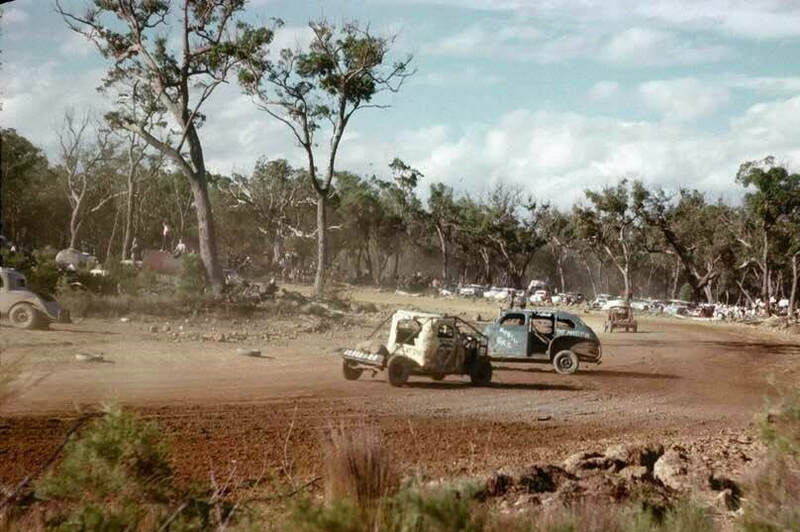 The Albany tq Car Club built there bitumen road road race circuit, This circuit was an absolutely beautiful layout, designed so patrons could see the entire race circuit from any were around the track. Unfortunately, a car ran off the track during an event that was being held there after the track had been in use for some time, this resulted in injury to a spectator. 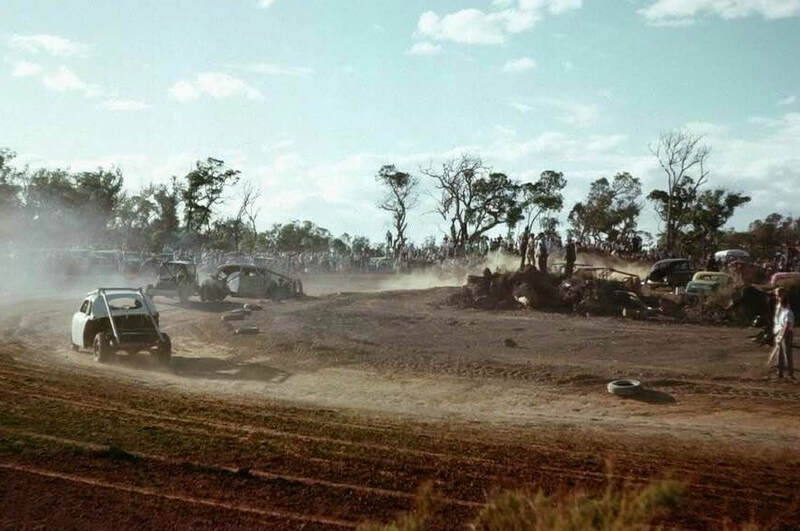 The Albany Motor Cycle Club built a motorcross circuit partially inside the bitumen circuit and out to the extremities to the Western end and back towards the Eastern side, the start and finish straight was inside the tq main straight and utilised the same timing box and pit facilities. 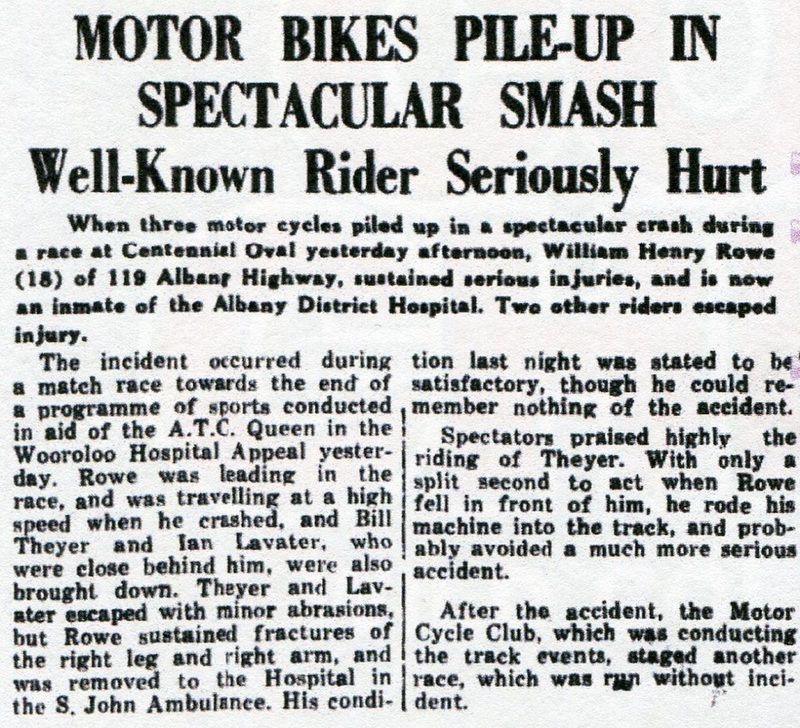 ﻿﻿﻿Allan Tarbottom made an effort to establish a speedway circuit at the complex, the outer track wall was erected from railway sleepers but a proper race track surface was never laid, the only action that the track ever saw was some practice laps from some solo riders, This part of the complex never received the support of the motorcycle club he so needed, many members deemed the venture to be impractable and the venture never came to fruition, eventually the partially completed speedway fell into a state of disrepair and was deemed an eye-sore and ammunition for the local farmers who had campaigned long to remove the motordrome from the control of motorsport, at the same time the Albany Hot Rod Club was developing the Atwell Park site with the aid of many of Albany's contractors and local ﻿business houses. 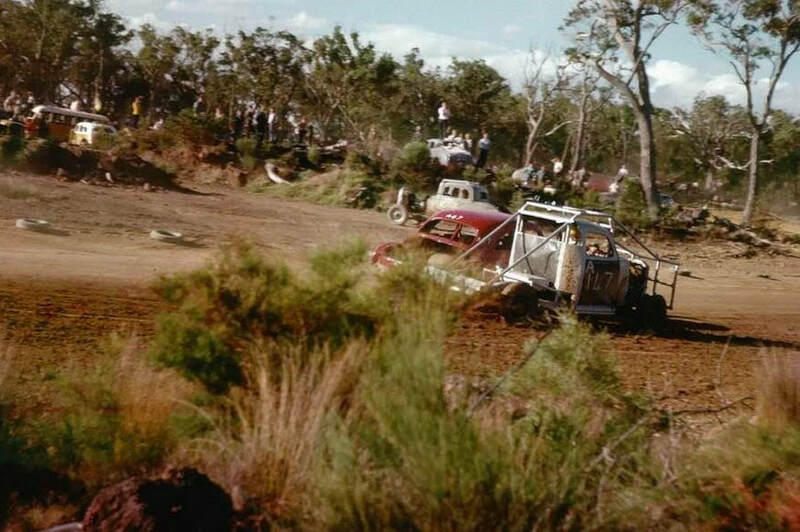 Brian Moyle recalls: on a visit to this lost track in 2015, When on the ground nothing would indicate a speedway was ever here, All that's left is a levelled clearing that is slowly being taken over by Albany's natural vegetation. Doug Pearsons TQ in the foreground. 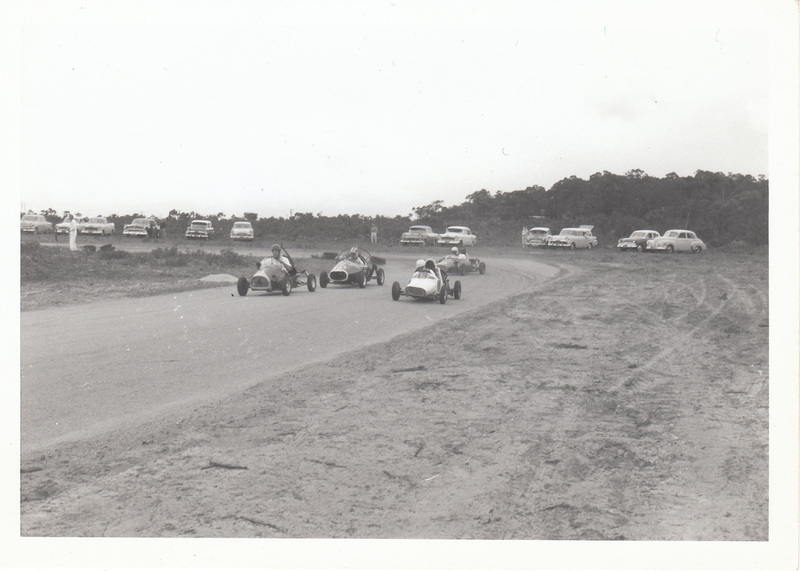 Photo's of the Albany Motordrome from the Anthony Caldwell collection.